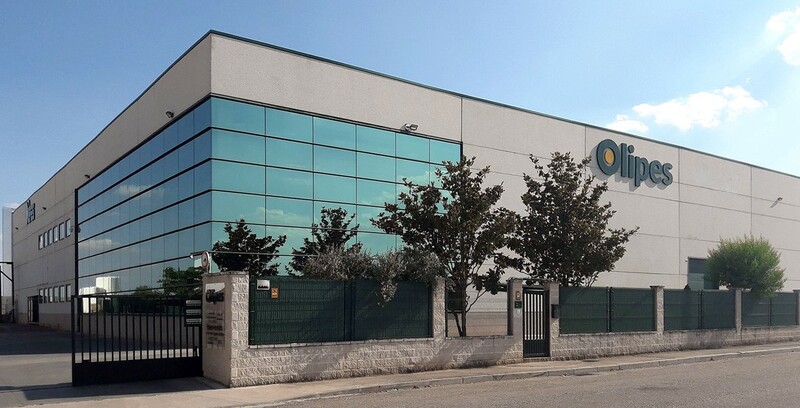 OLIPES initiates its activity in Spain in 1993 at the hand of its founder, Arturo Oliver, and his sons, together with a professional team specialized in the world of lubricants for industrial sectors. A process of continuous innovation and reinvestment has allowed OLIPES to progress rapidly. Today OLIPES represents a benchmark for the international petrochemical sector, with more than 2,500 product references in 75 industrial sectors and currently present in more than 45 countries. Inaugurated in 2004 in Campo Real (Madrid, Spain), it is a milestone that marks a turning point in OLIPES’ history. With a surface area of 13,000 m2, it has storage capacity for 3.6 million liters in bulk, 4,500 m2 for the production plant, 4,500 m2 for laboratories and offices and an automated logistics warehouse with 18,000 m3of capacity for finished product. The total production capacity of the current facilities is in excess of 20.000 t/year in lubricating greases and 100,000 t/year among the various product lines. Investments in the continuous improvement of filling lines and storage guarantee maximum productivity, flexibility in the packaging of the OLIPES brand and for other brands with minimum delivery times. During this period of growth and consolidation, our company motto was "Cutting Edge Technology", betting on research and development of new, more advanced, more efficient and environmentally friendly products. A flexible, motivated team, constantly participating in training and deeply committed to the company's objectives. Women and men working in OLIPES bring added value to products sold, provide training, customer care and technical assistance with professionalism, effort and enthusiasm. - We distribute a wide range of products under our own commercial brand. - We are specialists in manufacturing for distributors' private-label brands. With formats, products and programs specifically designed for this channel. - We create and manufacture special "tailor-made" products for other manufacturers, accompanying them throughout the process, with turnkey projects. We seek to offer sustainable products in the medium and long term. Essential to the acceptance of our commitment to sustainability is the optimization of raw materials and energy, recycling and biodegradation, and the efficient use of resources. Our products must meet the expectations of consumers worldwide. Our effective integrated logistics can place our products in the hands of the customer, anywhere in the world, aided by modern global communication systems. OLIPES offers sustainable products and services with high added value in globalized industrial markets, seeking customer satisfaction, welfare and society's development. Only through coordinated, motivated, and responsible work of all OLIPES staff, we are able to provide this extra value to our services. Customer care is the heart of our business. We deal with customers with openness and honesty, act with integrity, adapt to their needs and strive to ensure their satisfaction. Our vision is long term, all decisions we make are aimed at building lasting relationships with our customers. Differences between individuals represent a factor of enrichment. We listen, think and respect others without distinction.